A.C. Newman is the primary songwriter for the New Pornographers, but he gets less attention than some of his bandmates. He isn’t countrified like Neko Case or ostentatiously theatrical like Dan Bejar (Destroyer). Instead, he deflects attention from his persona to his songwriting bona fides, availing himself of the layered production and inventive twists of ’60s/’70s stalwarts like Harry Nilsson. 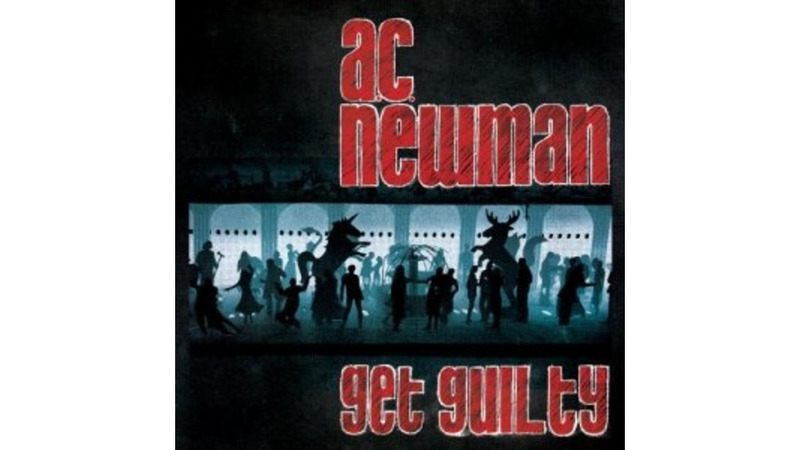 Newman’s second solo outing, Get Guilty, is a baroque-pop gem, on which he displays remarkable tonal control via crafty arrangement. Check out how the fanfare of “There Are Maybe Ten Or Twelve” seamlessly tapers off into an acoustic jangle and syncopated maracas, shifting the mood of Newman’s unflashy but indelible vocal melody. Or “Thunderbolts,” where an eerie synth seems to pull backward against an inexorable tide of crunchy guitar. In making this nostalgic mode of songwriting sound fresh and vital, Newman is a kindred spirit to Philadelphia’s BC Camplight, with whom he should definitely collaborate. C’mon, “AC/BC?” That’s too good to pass up. Listen to A.C. Newman's "There Are Maybe Ten or Twelve" from Get Guilty on MySpace.